A garage is one of the main areas of the home, whether it’s used to house automobiles or functions as an additional storage space. As the door continuously opens and closes, the wear and tear on the equipment can cause a malfunction. Having a good garage door repair technician on your call list can come in handy when this occurs. Stand either inside or outside of the door and observe how it works. Is the transition from open to close smooth, or does it jerk? Is it abnormally loud? These are indicators you should be looking and listening for to determine whether or not you will need repairs in the near future. From time to time, tighten the nuts, rollers and bolts on the door. Balance is an important part of helping the garage door work properly. You can test this by disconnecting the opener and manually moving the door halfway up. The door should stay in place. If it does not, it is not properly balanced and needs a garage door technician to come and fix the problem. Check to make sure the rollers are not worn, cracked or chipped. If you see any signs of wear, immediately replace them. The weather stripping on the door is important to keep the door sealed. If it is cracked or brittle, it should be immediately replaced. Lubricate the relevant moving parts. Make sure the moving parts of the door stay greased. This will help them work properly and keep your door in great shape for a number of years. If you see any damage or broken strands near the bottom roller bracket, it’s time to call a professional. Your garage door should be equipped with an auto-reverse safety feature. Periodically testing this should give you an indication of whether or not you need to call a technician. Make sure your tracks on either side of the door are clean and free of any debris. If the door has been affected, call a technician to make any necessary adjustments. 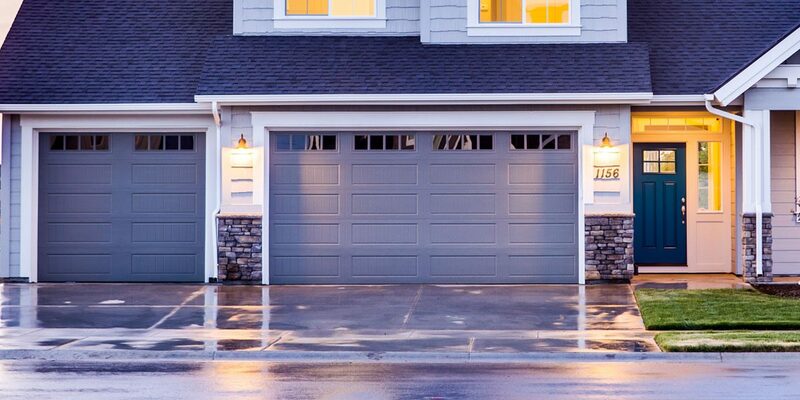 It’s important to treat your garage door as an important part of your home. For more information on garage door repair and tips on preventative maintenance, call our team today!